North Andover celebrates a thrilling win over two-time defending champion King Philip in the Division 2 state championship game. Photo by Brendan C. Hall. Foxboro, Mass. 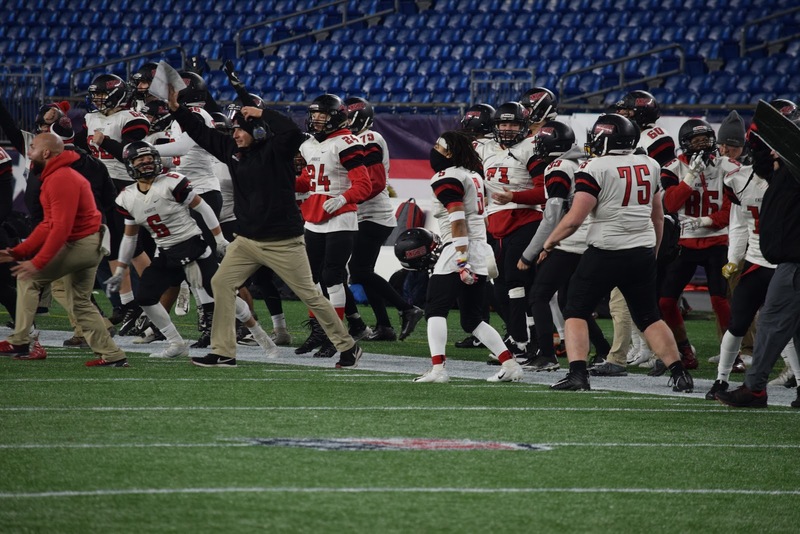 - In a Friday night double-header, Nashoba and North Andover captured MIAA football state championships at Gillette Stadium. Nashoba's Division 4 title game victory over Dighton-Rehoboth and North Andover's D2 win over King Philip kicked off a full weekend of high school pigskin at the home of the Patriots. We will have full coverage of all six of Saturday's games, but first, check out these highlights from Friday, courtesy of our Matt Siegel.